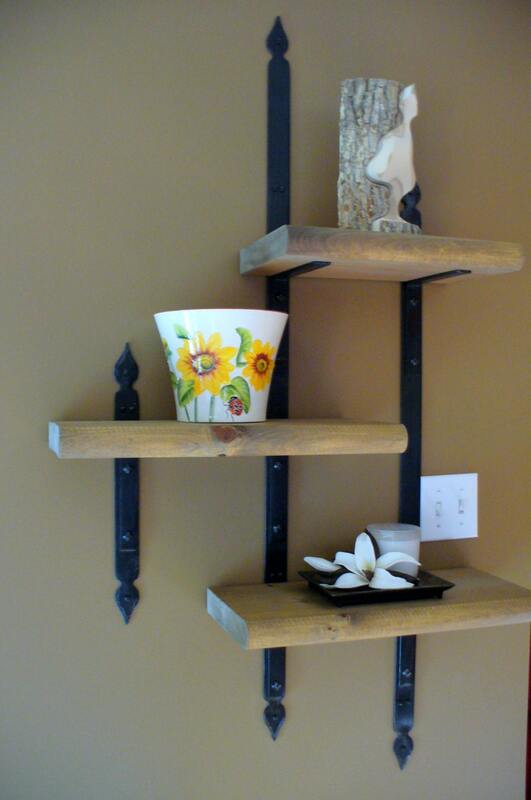 Add warmth to any room with these elegant hand forged shelve brackets. All made by hand, there are no welds... Everything holds with hand hammered rivets. Leaf motifs were forged at each wall "strap" extremities and one of the "straps" has my logo signature "Naz" stamped in the metal. 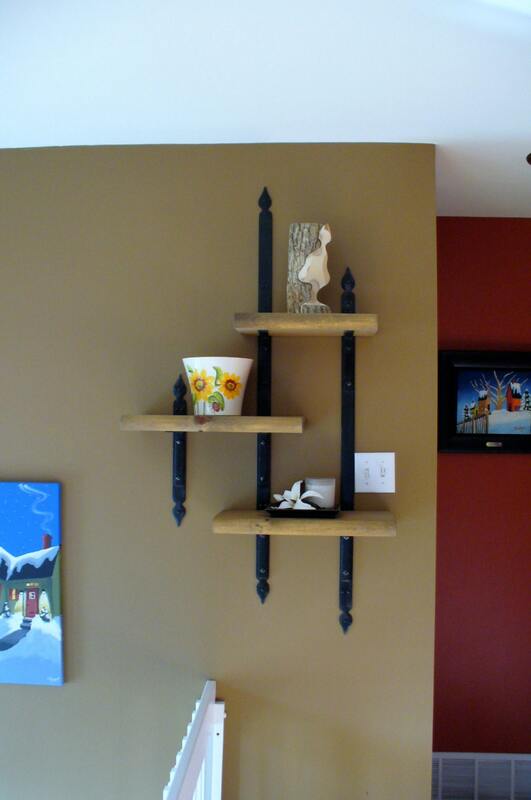 The forged brackets are hammer riveted to the three wall "straps" in a way that everything alings when the "straps" are properly screwed to the wall. All you need to do is determine where you want the first strap to start, then leave 8" between each strap while making sure your shelves are horizontal. 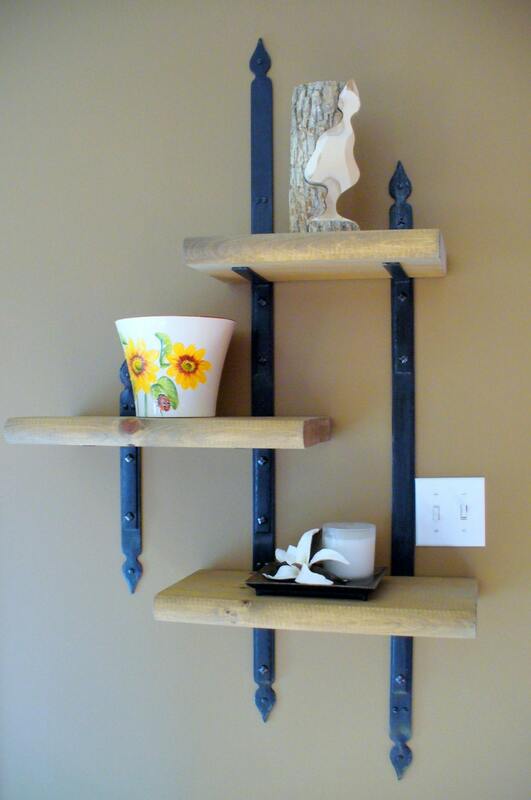 All metal parts are made with thick flat bar making these shelves very strong. -One coat of anti-rust primer. -Three coats of anti-rust flat black paint. -One last coat of anti-rust acrylic clear. 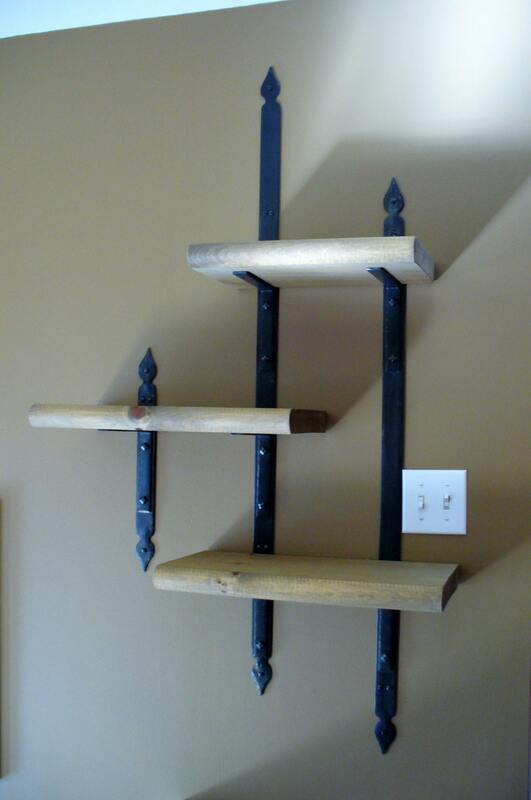 Total height of the assembled kit is approximately 51"
Included in this kit are 3 forged wall brackets, "straps"
Also included are 28 decorative wood screws (16 for wall straps and 12 for shelves) that match the ironwork to give this hand made piece of furniture it's right value down to the last details. 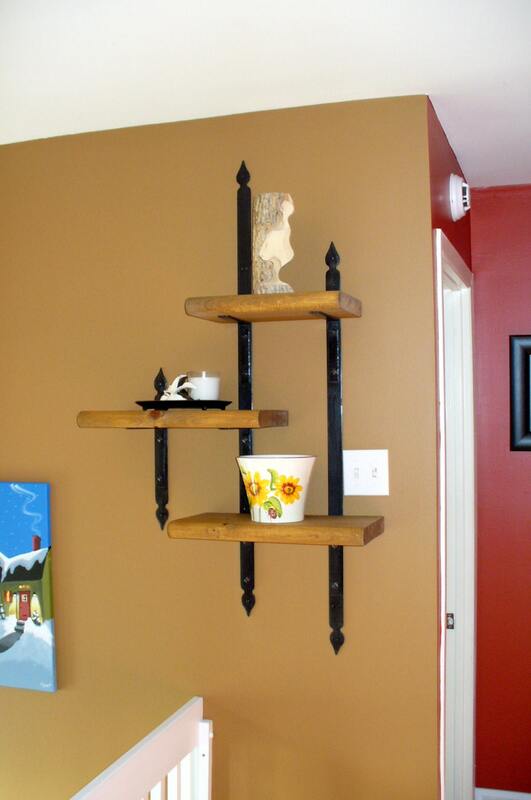 Note : Decorations resting on the shelves in the photos are not included. The one pictured in the above photos is the one hanging in my home and I will need some turn around time to make yours, you may contact me to know approximately how much time it will take for me to make yours as it will depend on how busy I am at that moment. You will be kept informed when your order is made and shipped.